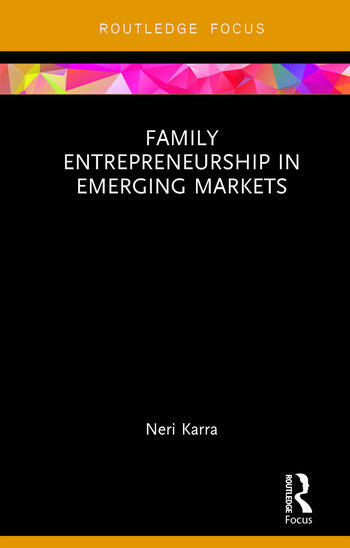 In this fascinating study, Neri Karra examines entrepreneurial family businesses in emerging markets by integrating three schools of thought: agency theory, an institutional framework, and the altruism perspective. Providing an in-depth treatment of the area as well as a real-life case study, it provides a theoretical perspective as well as qualitative insights. It also offers practical observations and future research implications. This book will be valuable reading to students and researchers of entrepreneurship, family businesses, and altruism in management. Neri Karra is an Associate Professor in Entrepreneurship at IESEG University in France. She is also the founder of the Neri Karra luxury fashion brand.